So, see, Ike, Marc, and Bruce may be pretty swell guys. They’ve done well in business: Ike in comic books and entertainment, Marc in the law and consulting on white collar crime, and Bruce as a medical concierge who gets affluent patients in to see big name doctors. But this odd trio —Ike Perlmutter, Bruce Moskowitz and Marc Sherman — never served in the U.S. military. They’re certainly not veterans. Perlmutter and Sherman have zero experience in health care. And Moskowitz, while a doctor, is a respected primary care practitioner — not someone known for his direct experience in running big, complex operations. They also, however, happen to be FOT — Friends of (President) Trump. They pay him to belong to his Mar-a-Lago country club. And, apparently at his request and with the assistance of powerful partisans and the acquiescence of sheepish bureaucrats, Perlmutter, Moskowitz, and Sherman have become “shadow rulers” of the U.S. Department of Veterans Affairs. By law, nearly all of the country’s 21 million former service members are eligible for VA health care; of these, nine million have enrolled, and almost seven million used the system in 2016, at a cost of $63 billion. This system provides comprehensive coverage, not only for injuries and illnesses sustained in the line of duty but also for any other medical needs that may arise at any point. To do this, the VA runs 144 hospitals, 800 clinics, and 300 mental health Vet Centers and employs more than 300,000 people. In addition to treating veterans, the VA trains nearly half of U.S. doctors and two-thirds of U.S. nurses at some point in their careers and conducts more than $2 billion in research each year. In brief, it is one of the nation’s biggest and most complex health care providers. It’s charged with keeping one of America’s most sacred bonds — protecting the well-being of service personnel who have shed blood, sweat, and tears on the nation’s behalf and their loved ones. The VA has had rough political times in recent days, with leaders coming and going, particularly due to the tempestuousness of Trump himself. But how does this taxpayer-supported agency, with loads of duties and responsibilities spelled out in statutes and overseen by high-paid, credentialed and seasoned administrators and lawmakers on Capitol Hill, fall under the thrall of three guys with loads of ideas and demand but zippo, nada real authority or expertise? [H]undreds of documents obtained through the Freedom of Information Act and interviews with former administration officials tell a … story — of a previously unknown triumvirate that hovered over public servants without any transparency, accountability or oversight. The Mar-a-Lago Crowd spoke with VA officials daily, the documents show, reviewing all manner of policy and personnel decisions. They prodded the VA to start new programs, and officials travelled to Mar-a-Lago at taxpayer expense to hear their views. … If the bureaucracy resists the trio’s wishes, Perlmutter has a powerful ally: The President of the United States. Trump and Perlmutter regularly talk on the phone and dine together when the president visits Mar-a-Lago. … Former administration officials say that VA leaders who were at odds with the Mar-A-Lago Crowd were pushed out or passed over. Included, those officials say, were the secretary (whose ethical lapses also played a role), deputy secretary, chief of staff, acting under secretary for health, deputy undersecretary for health, chief information officer, and the director of electronic health records modernization. 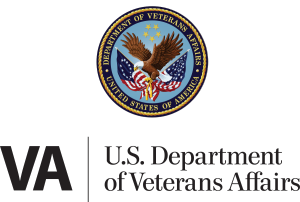 At times, Perlmutter, Moskowitz and Sherman have created headaches for VA officials because of their failure to follow government rules and processes. In other cases, they used their influence in ways that could benefit their private interests. They say they never sought or received any financial gain for their advice to the VA. The kibitzers have taken up government time, forcing leaders to deal with queries involving individual records of the son of a Florida real estate agent who happened to run the tennis courts on which one played regularly. (It turned out that problem resided in the Pentagon, not at VA — but senior-level officials had to sort this kerfuffle out). The trio has weighed in on some of the most difficult, complex, and potentially costly decisions at the VA, including if and how extensive the agency’s privatization of medical services should be. Their gambit: They wanted to get friends of theirs in health care to tell the agency what to do — what one expert described as putting foxes in charge of the hen house. They’ve also consumed staff time with notions that they later lost interest in. Or they have put the VA and its leaders in positions of promoting companies and commercial ventures, actions the agency long has sought to steer clear of. Meantime, they also have traveled to VA headquarters in Washington at government expense, and agency executives have sojourned to Mar-a-Lago just to talk with the trio. They insist they’re getting no pay and they’re volunteering a valuable bureaucracy-busting expertise. But Democratic lawmakers, calling the ProPublica disclosures evidence of a situation that “reeks of corruption and cronyism,” have said they will investigate the Mar-a-Lago trio’s role at the VA. They denounced its lack of transparency and how it allows individuals with no accountability or legal authority to meddle in official business. In my practice, I see the harms that patients suffer while seeking medical services, and over time, I’ve come to know how much care the giant VA provides, including an estimated 100,000 clients in the Washington, D.C., area. A government bureaucracy of its size, no doubt, has more than its share of problems, and we need to root them out and deal with them, including VA’s scandalous leadership challenges. In March, researchers at the nonprofit research organization RAND published a study revealing the gross inadequacies of New York State’s health care system to effectively treat veteran patients. A month later, RAND found that the quality of VA care was generally better than private health care. These were just the latest of scores of studies that have come to the same conclusion for nearly two decades now. How can this be? How can we all know that the VA health system is a disaster, when study after study shows the opposite—that when it comes to providing care for nine million veterans, it outperforms the competition? The answer is that studies like the RAND report are virtually ignored by the press. This isn’t just a Fox News problem. Consumers of neutral and even left-leaning news sources are largely unaware of the many studies showing the general excellence of America’s largest integrated health care system, and the country’s only true example of socialized medicine. As the U.S. continues to debate what to do about its unsustainable health care system—and as conservatives continue to push for “free market” solutions, including privatizing the VA itself—the fact that a government-owned and -operated system is outperforming the private sector should be a major story. If VA care is as good or better than the alternative, how would pushing vets into private-sector care make them better off? But that question rarely gets asked, because too many people are unaware that the premise guiding these policies—that the private sector inevitably outperforms government—is false. America’s service personnel and their families deserve affordable, accessible, safe, efficient, and even excellent medical care. We all need to safeguard the promise we made as nation to provide it, watching over the VA and its work with zeal. But the VA shouldn’t be a plaything for wealthy presidential pals, no matter their good intentions or proclaiming of same. Our democratic government at all levels not only offers but screams out for citizen-activists to step up to ensure our taxpayer-funded institutions work as well as they can. This participation occurs, in public, within legal parameters, and without cynicism-breeding secrecy and the odor of monied privilege. Americans, frankly, no more need the VA advising of this trio than they do their sideline commentary about the way the swells play golf or tennis at their country club. Trump’s misguided reliance on “advisers” like these, of course, has been part and parcel of his administration — just look to how he took a neurosurgeon and made him the cabinet official in charge of the nation’s public housing or how he took a billionaire who wasn’t an educator and made her Education Secretary. Military personnel and their families need to take careful note how seriously the current commander-in-chief has taken their health care, whether appointing his unqualified personal doctor (who fibbed about Trump’s weight) to head the VA — or throwing the agency over to his country club pals.